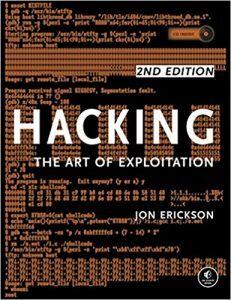 Looking for the best hacking books? The term hacking can be defined as the activity that is undertaken by gaining unauthorized access to data, information, system, or resources. Hacking can be broadly categorized into ethical and unethical. Further, the person who carries out this activity is known as the Hacker. Hacking is the art of creative problem solving, whether that means finding an unconventional solution to a difficult problem or exploiting holes in sloppy programming. Many people call themselves hackers, but few have the strong technical foundation needed to really push the envelope. Ethical Hacking is an Authorized way of Hacking. It is testing the IT resources for a good cause and for the betterment of technology. These Books will establish your understanding of all the fundamental concepts, processes, and procedures… You need to spend time concentrating on each knowledge area, and studying the tools and techniques, inputs, and outputs associated with each knowledge area. We provide you with a list of books that offers you white hat content. However, it is important to note that as a beginner to not perform any hacking & cracking tactics that breach any cyber law. It is probably the easiest book to start with and covers everything from programming. The book focuses on the fundamentals and it shows you the different approaches that one would take to find vulnerabilities in your software or system. Excellent information concerning furthering your knowledge on security consciousness and strengthening potential flaws in programming/weaknesses on your personal network/pc. It is also very informative and an easy read! Excellent book for info security practitioners, and a good read for application developers, system and network admins. The book tries to cover many of the tools which could be used during a technical assessment “pentest or vulnerability assessment”; what makes this book stand out from other similar books is that every single tool listed and explained in the book actually work and are relevant in modern environments, with excellent coverage of PowerShell as an offensive platform. It’s a great book to get people started, has examples to walk through, and includes more advanced topics for experienced users. 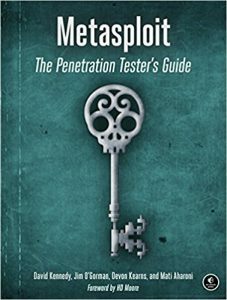 This book covers the technologies behind Metasploit, not just using it. 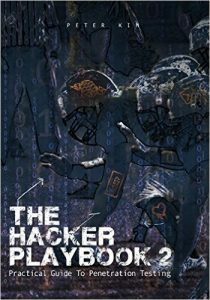 For example, if you are trying to use Metasploit for exploit development, there is a chapter about that. There is a chapter about porting modules, and wireless technologies. There is a social engineering chapter. A client-side attack chapter and the information is very detailed. This is a very detailed book and is very well explained. A lot of scripts in the book make it very useful. Instead of reading, absolute essential is to have a system to go through all examples. 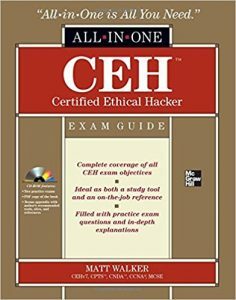 You get complete coverage of all the objectives included on the EC-Council’s Certified Ethical Hacker exam inside this comprehensive resource. Written by an IT security expert, this authoritative guide covers the vendor-neutral CEH exam in full detail. You’ll find learning objectives at the beginning of each chapter, exam tips, practice exam questions, and in-depth explanations. Designed to help you pass the exam with ease, this definitive volume also serves as an essential on-the-job reference. This book helps to understand the basics of networking in order to better understand the IT security risk and how hackers attack IT infrastructure and their applications. A MUST for all old colleagues who want to know issues and concerns about Cyber Security. 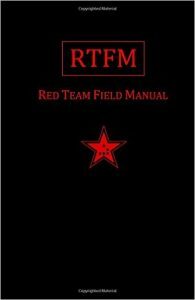 The Red Team Field Manual (RTFM) is a no fluff, but thorough reference guide for serious Red Team members who routinely find themselves on a mission without Google or the time to scan through a man page. The RTFM contains the basic syntax for commonly used Linux and Windows command line tools. This book is essentially a decade’s worth of notes from an experienced network security engineer or pen tester. It looks like someone published an Evernote notebook. Formatting is inconsistent and at times confusing. There is a fair amount of duplication. Placeholders are inconsistent. There is no descriptive text or explanatory notes. It is a list of commands, and nothing more. The Basics of Hacking and Penetration Testing serves as an introduction to the steps required to complete a penetration test or perform an ethical hack from beginning to end. Without any prior hacking experience. You learn to properly utilize and interpret the results of modern-day hacking tools, which are required to complete a penetration test. Tool coverage includes Backtrack Linux, Google reconnaissance, MetaGooFil, dig, Nmap, Nessus, Metasploit, Fast Track Autopwn, Netcat, Hacker Defender rootkit, and more. A simple and clean explanation of how to effectively utilize these tools included. Also, an introduction to a four-step methodology for conducting a penetration test or hack will provide you with know-how required to jump-start your career or gain a better understanding of offensive security. The book serves as an introduction to penetration testing and hacking and will provide you with a solid foundation of knowledge. The book walks through each of the steps and tools in a structured, orderly manner. Allowing you to understand how the output from each tool can be fully utilized in the subsequent phases of the penetration test. This process allows readers to clearly see how the tools and phases relate.